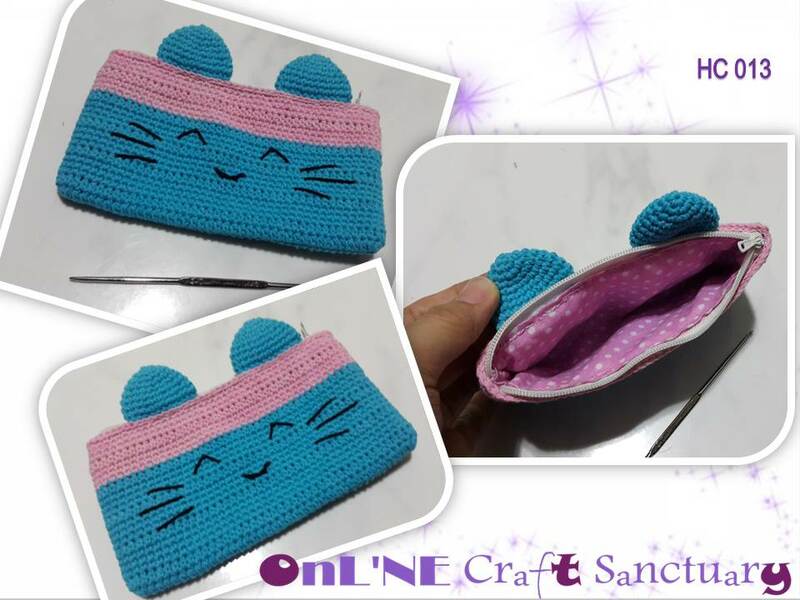 if you are interested to do the crochet pouch here is the details of the pouch that i made. 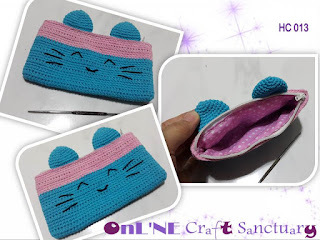 Make 2 and sew it on the top of the pouch. after sewing the ear, embroider the face feature.. and then zipper.